A new set of images of Jupiter, taken a few days after the June 3 impact of a small asteroid or comet, was released on the website for the Hubble Space Telescope today. The research group, which includes Mike Wong, Heidi Hammel, and Amy Simon-Miller, focused on finding a small debris field that might have resulted from the impact, similar to the ones seen from last year's asteroid impact and the Shoemaker-Levy 9 impacts in July 1994. To date, no such debris field has been spotted by amateur, ground-based telescopes, but it had been hoped that with Hubble's superior resolution, it might be able to spot a small, dark spot from the impact. Instead, as you can see above, even with Hubble's larger eyes, no impact scar is visible. 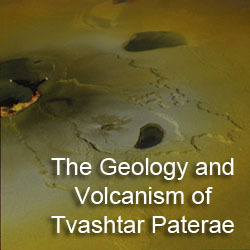 This suggests that the impactor was too small to penetrate very deep into Jupiter's atmosphere, but instead burned up in the upper atmosphere, akin to meteor fireballs on Earth. Since these events are so brief, it is possible that similar Jovian meteors maybe fairly common, but because of their brief duration (< 3 seconds), they just hadn't been noticed before. Leigh Fletcher on his Twitter feed has noted that the Keck, Gemini, and IRTF observatories at Hawaii's Mauna Kea and VLT in Chile have also obtained views of the impact site, so maybe they will be able to spot a residual thermal hotspot from the site. He seems to suggest that no such scar has been seen though. 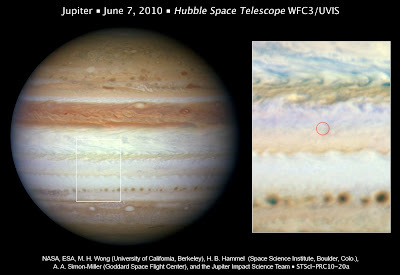 While it failed to detect an impact scar from the Jovian meteor, the Hubble data was able to provide images of the changes that have occurred in Jupiter's atmosphere over the last six months. The South Equatorial Belt (SEB), normally the reddish-brown southern complement to the similar North Equatorial Belt (NEB) which bracket the bright Equatorial Zone (EZ), brightened during the end of 2009. 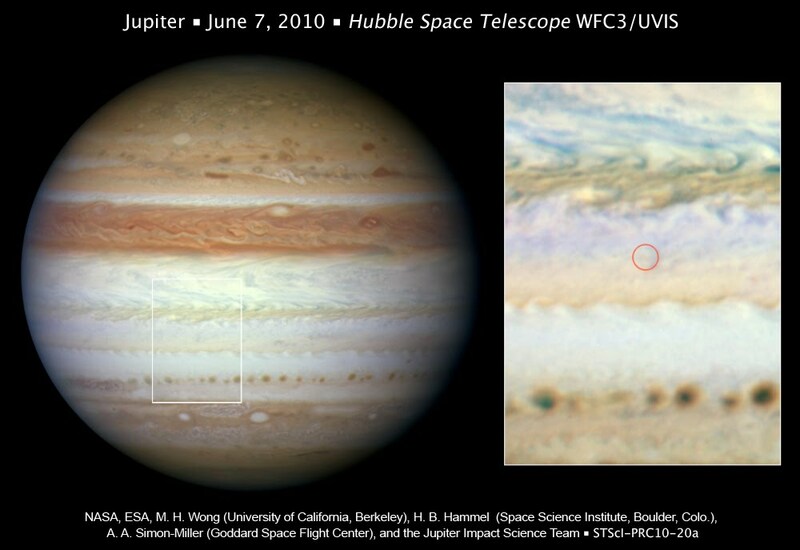 From ground-based scopes, this makes Jupiter appear as if it only has one dark belt, as opposed to the normal two. This also makes the Great Red Spot more visible since it is surrounded by mostly bright clouds. 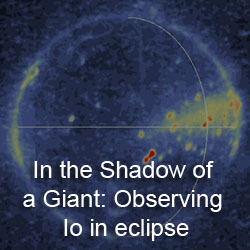 Hubble detected a high-altitude layer of ammonia clouds over the SEB, obscuring the darker clouds below. The Hubble image also points to the beginning of the end for these high clouds, as a series of dark spots along the southern margin of the SEB were also seen. Similar spots were seen near the end of earlier SEB brightenings. 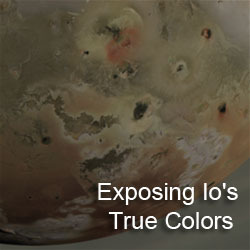 Life on Io? Not Very Likely.